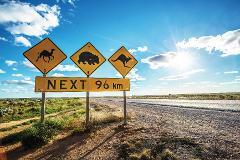 This 9 day, 4000km journey across South Australia and the South West of Western Australia will leave you breathless, fascinated and reconnected with nature in a way you could not have imagined. 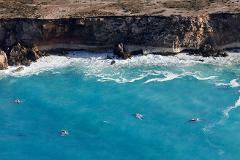 The Great Australian Bight will be beyond all of your expectations as you are amazed by the Southern Right Whales that call these waters home from June to October, as well as awe inspiring scenery, delicious seafood and local hospitality. Combining food, wildlife and spectacular scenery, this 3-day tour from Adelaide of ‘Australia’s Seafood Frontier’ will give you a real taste of Port Lincoln and the pristine regions surrounding it. This exclusive private 1-day tour of Australia’s seafood capital Port Lincoln, highlights the very best of the Eyre Peninsula's spectacular coastal scenery, world class seafood and wine and up close and personal wildlife encounters. This five-day tour combines two of South Australia’s most pristine and iconic regions, each offering their own diverse experiences and landscapes. 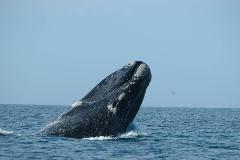 Experience spectacular scenery, abundant wildlife, indigenous culture and amazing food. Port Lincoln is recognised as Australia’s seafood frontier but it offers much more – rugged coastline, pristine beaches, stunning national parks, world class wildlife interactions and fresh local produce. 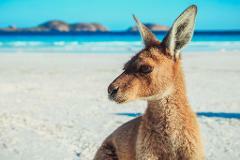 Combine the pristine wilderness of Kangaroo Island and the rugged beauty and delicious seafood of The Eyre Peninsula. 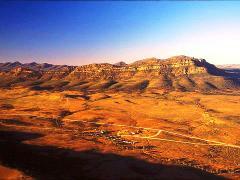 This tour from Adelaide has it all with spectacular scenery, abundant wildlife, unique food and wine experiences. This 9 day, 4000km journey across the South West of Western Australia and South Australia and will leave you breathless, fascinated and reconnected with nature in a way you could not have imagined. Combining lunch, wildlife and spectacular scenery, this 1-day tour of Port Lincoln highlights the best of the destination, showcasing the Eyre Peninsula’s diverse range of experiences. Discover Australian nature at its best engaging with native wildlife, exploring Port Lincoln and its surrounding national parks & beaches. 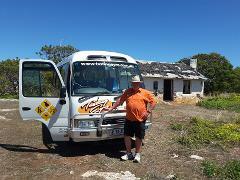 Have a real Aussie camping experience & taste the local seafood while learning about Aussie culture. 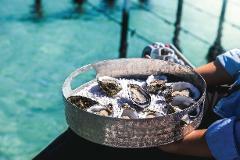 Coffin Bay is Australia’s premier oyster growing destination and this day tour from Port Lincoln combines the best local produce, meet the maker experiences, stunning coastal scenery and wildlife with our local expert guide. 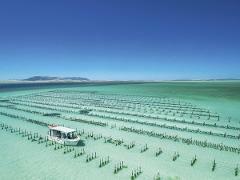 Coffin Bay is Australia’s premier oyster growing destination and this Private Day Tour from Port Lincoln combines the best local produce, meet the maker experiences, stunning coastal scenery and wildlife with our local expert guide. Combining food, wildlife and spectacular scenery, this Private 1-day tour of Australia’s seafood capitol Port Lincoln highlights the best of the destination, showcasing the Eyre Peninsula’s diverse range of experiences. Combining food, wildlife and spectacular scenery, this 3-day private tour from Adelaide of ‘Australia’s Seafood Frontier’ will give you a real taste of Port Lincoln and the pristine regions surrounding it. The Nullarbor & The Great Australian Bight will be beyond all of your expectations as you are amazed by remote national parks, the real Aussie outback of the Nullarbor and the ultimate coastal scenery of the “Edge of Australia”. This exclusive 9 day, 4000km journey across the South West of Western Australia and South Australia will leave you breathless, fascinated and reconnected with nature in a way you could not have imagined. This exclusive 9 day, 4000km journey across South Australia and the South West of Western Australia will leave you breathless, fascinated and reconnected with nature in a way you could not have imagined. This five-day private tour combines two of South Australia’s most pristine regions, each offering their own diverse experiences and landscapes. 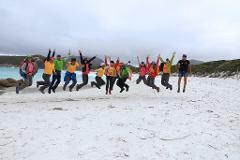 Experience spectacular scenery, abundant wildlife, indigenous culture and amazing food. 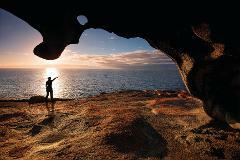 Combine the pristine wilderness of Kangaroo Island and the rugged beauty and delicious seafood of The Eyre Peninsula. 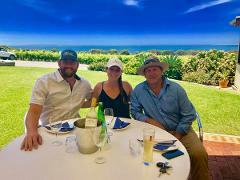 This private tour from Adelaide has it all with spectacular scenery, abundant wildlife, unique food and wine experiences.